they all came out so dang adorable! I have never done a guided lesson before and I found value in it that I hadn't anticipated. I think its important to have lessons where children can feel success. 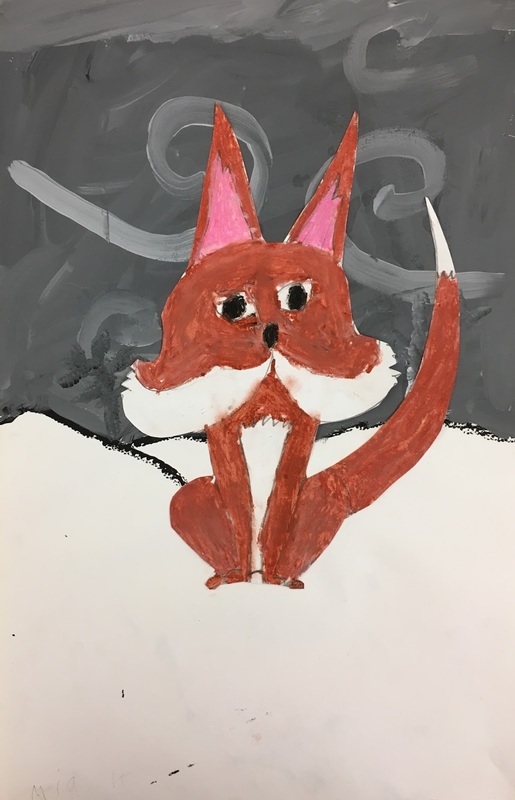 Almost every student felt good about their animal and were able to produce a work they felt good about. My first inspiration for this lesson was on this blog, Mary Making. 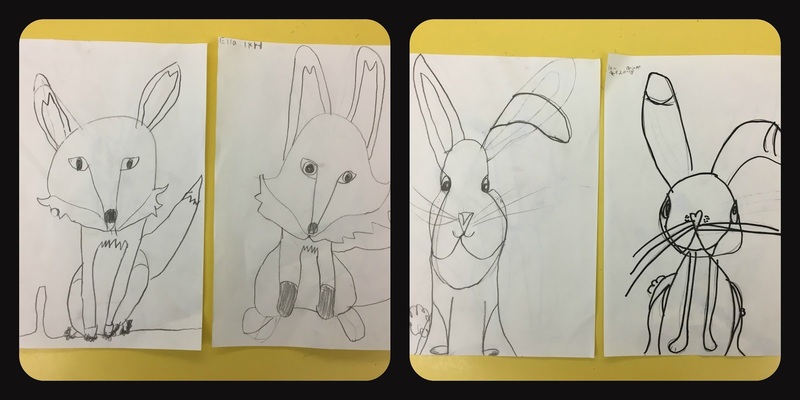 I then developed the drawing tutorials based on Art Hub for kids for the fox and then piecing together other tutorials for the rabbit. Art Hub has so many great drawing tutorials for kids, it's worth it to check it out! 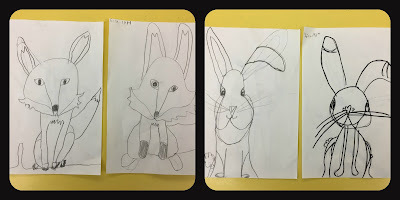 We started out learning to draw these two animals step by step together as a group. 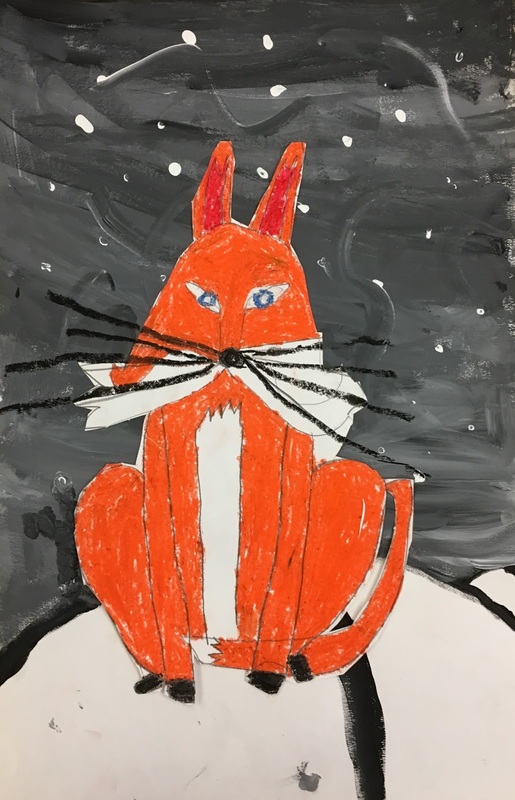 fox and rabbit and add their own artistic touches. Next class we choose one animal and perfected it in a final copy. 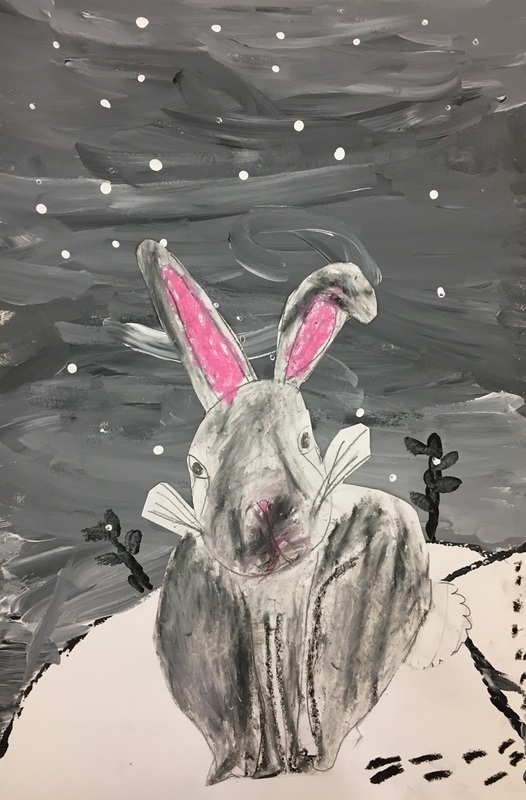 First grade artists learned how to layer and blend oil pastels to bring their animals to life. To create the backgrounds, we talked about perspective and how hills and trees way in the background would be smaller. Their animal would be big and in the front because it is closer. 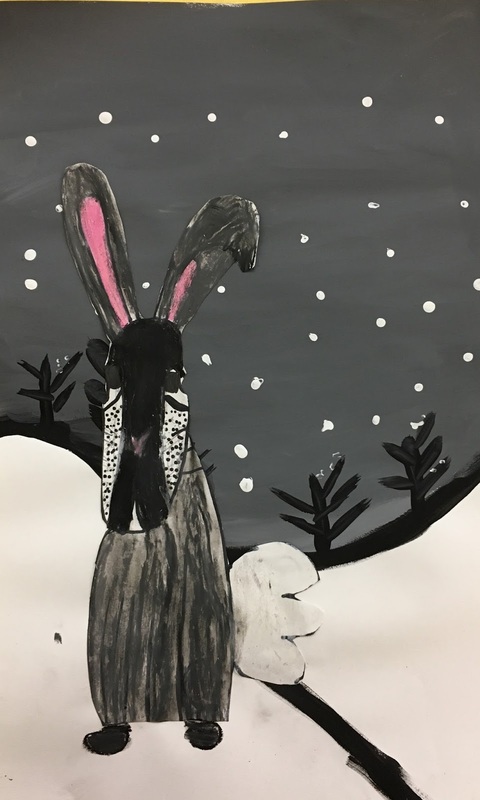 I used this lesson from Mrs. Knight's Smartest Artists for inspiration! Finally, they cut and glued their animals into their background paintings. The finished products were so adorable, I'm so proud of their work! Were you able to choose which animal you liked better?